Sweet potatoes have never looked (or tasted) so good! If you ask me, there’s not many veggies that are better than sweet potatoes. Whether fried, baked, roasted or stuffed, it’s safe to say I eat at least one per week. 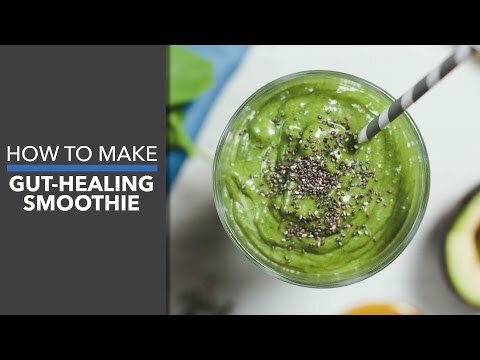 Throw all your ingredients in a blender and blend on high until the gut-healing smoothie is nice and smooth, about 2 minutes. Serve over ice and enjoy. Because this drink is effortless, you might underestimate how powerful and good for your gut it is.